Today I have a baking post for you. These seem to be popular so make sure to let me know what you think. The lovely people at The craft company sent me over some bits to review so I thought i'd show you my take on cookie decorating. Enjoy! Put the icing sugar, butter, egg yolk and vanilla extract into a bowl a mix together until well combined. Fold in the flour until the mix starts to clump together then use your hand to bring it together into a ball. Roll out the dough on a well floured surface and cut into shapes using your cookie cutters. Bake for 10 - 15 mins on 190 or gas mark 5. Hopefully they should look a little like the ones below! So that's it, I urge you to try these there so easy to make and taste great to. Whats your favorite thing to bake? 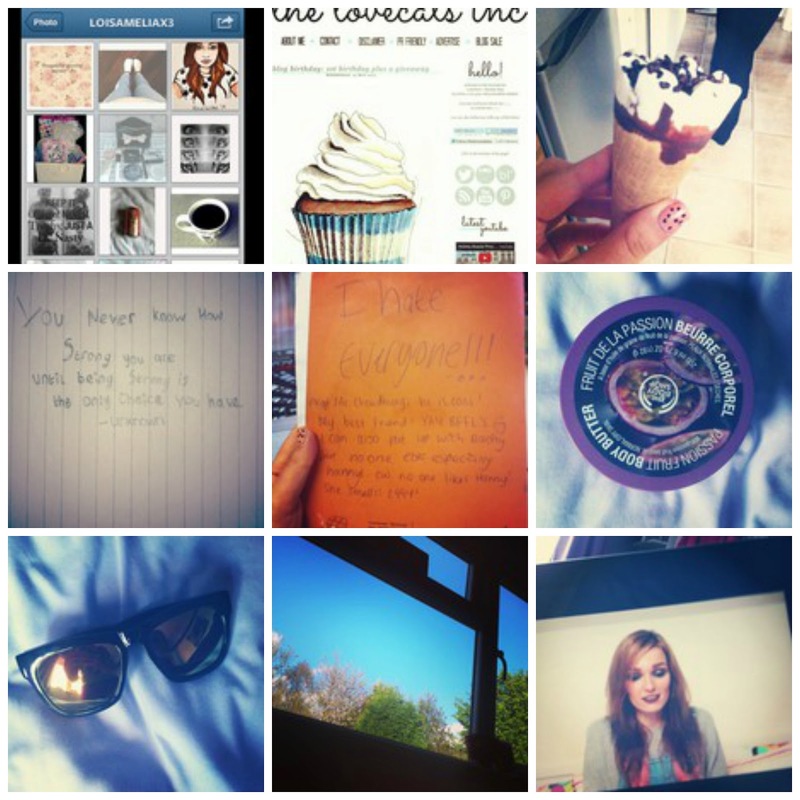 Hello lovelies, today I thought i'd do a instagram diary post as I've been really getting into using it recently. I hope you enjoy! I'd also love for you to follow me @theperksofbeingacoleeeyyy Enjoy! 6. The body shop passion fruit body butter is the best! 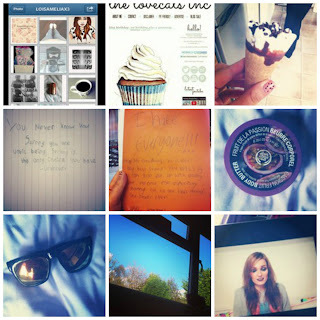 I really hope you enjoyed this post leave me your instagram down bellow and I'll make sure to take a look! Oh my I love both of these so much and they've lasted since my birthday to so they've done pretty well. Repurchase ~ Probably but not to soon in the future. So many people swear by this but I really didn't see any improvement in my skin at all. Another think that puts me of it is the bottles are tiny, mine only lasted just over two weeks. L'Oreal elvive colour protect shampoo. I grabbed this from the pound shop and I don't think its even sold anymore. It's ok I'm not bothered about shampoo as long as it cleans my hair I'm really not bothered. Repurchase ~ No I think its been discontinued. This is my favourite hair day in the world. It barely fades and leaves my hair so bright. I just love it so much I just cant put it into words. Repurchase ~ Always. I think if my hair is red it will be this baby! Primark reed diffuser ~ Raspberry and papaya. I really like primark reed diffusers. They smell lovely and this one was no exception. This smelt lovely and sweet. Repurchase ~ Maybe I'd like to try more scents. I liked this but it seemed to go gloopy very quickly. It was nice but I didn't find it did anything amazing for my nails. Repurchase ~ Maybe if I could get it easily. Essence isn't sold in the uk I got this when I went on a school trip to Germany. I really like this it really covered my under eye circles well and was a really good colour for me. Repurchase ~ If I could get it yes. These were ok nothing amazing but not to bad. I liked astonishing lengths a little bit more as the super magnify brush was super thin. Repurchase ~ No I've got plenty of mascaras I like better. So that's it for another month.